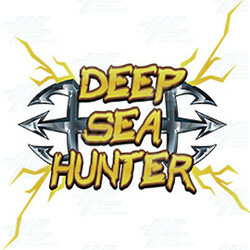 Deep Sea Hunter is a new fish hunting game that is packed with features, and offer players better odds. The game follows the same format as others in the popular fish hunting series where up to eight players hunt for characters using features and special weapons to gain the largest amount of points possible. The aim of the Deep Sea Hunter is for players to use their guns and game features to kill as many fish as possible before time ticks down. Players are treated to three different underwater scenes in Deep Sea Hunter. Each scene features a range of small fish (with low odds), high odd fish and big boss characters (worth the most). These boss characters – blue whale, skeleton king and mermaid – offer fish hunters a new and exciting gameplay experience. Low odd fish: Little Red Fish, Spot Fish, Striped Fish, White Dragon Shrimp, Long Tail Fish, Bubble Fish, Rock Fish, Tortoise, Sword Fish, Giant Squid, Green Grouper, Hippocampus and Jelly Fish. High odd fish: Big Spot Fish, Big Striped Fish, Big White Dragon Shrimp, Dolphins, Skeleton Fish, Company, Blue Whale, Skeleton King and Mermaid. When you shoot this character the same kind of fish on the screen will also die. Catching or damaging the Tsing Lung character will trigger an explosion. All fish caught within this explosion will die. The points gained from triggering the explosion and killing other fish are multiplied by random. A mini game character that explodes when caught, catching and damaging the fish on the screen in range of the explosion. When caught the Laser Crab gives the player a special Laser Beam weapon, which will catch all the fish the beam hits. But you have to be quick because players only get one shot that lasts for 10 seconds. Like the Laser Crab, if a player hits the Bitgun Crab they will get a special gun to hunt fish. But it only lasts for 10 seconds. In addition to the special fish that help you gain more points, the Deep Sea Hunter gameplay is layered with other features. Buried Treasure: A random multi-player feature. Super Gun: A random multi-player feature. Glowing Fish: After the glowing fish (applied randomly to a fish at any point during the game), all the same kind of fish on the screen will die. Deep Sea Hunter is available to buy on its own (game kit) or can be shipped with Arcooda’s six or eight-player fish machine.